Today we BBQ’d for the New City Nissan Dealership. We fed the whole dealership from Service and Parts to Sales and the business office. Management too! 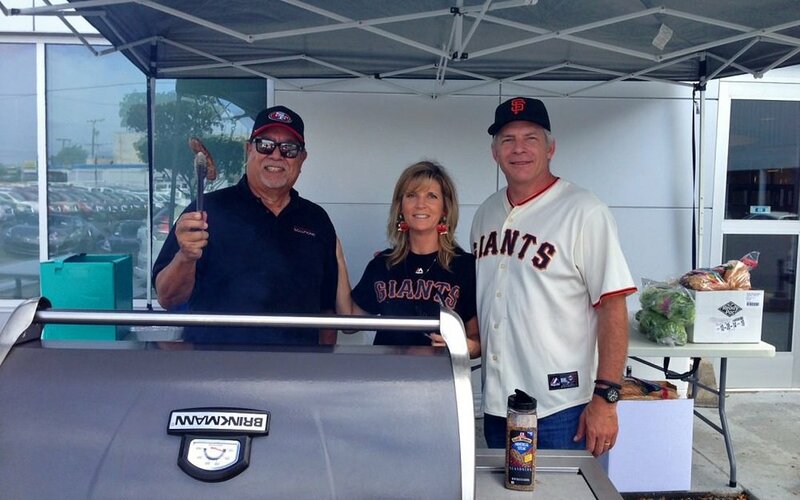 The event started when Jim Cavanah told Eddie Ponciano of New City Nissan that if the Giants won the World Series, Cavanah Associates would BBQ lunch for the dealership. The Giants Won and We BBQ’d!! Great fun and great people at New City Nissan!